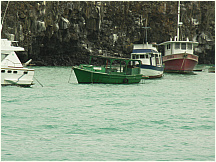 42 Free photos of Santa Cruz Island (Isla Santa Cruz), in the Galapagos Islands, Ecuador. 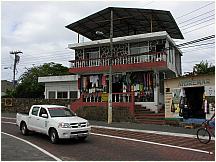 Santa Cruz Island is one of the Galápagos Islands with an area of 986 km² and a maximum altitude of 864 metres. 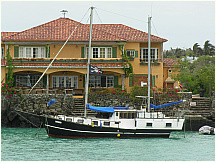 Named after the Holy Cross, its English name (IndefatigabSle) was given after a British vessel (HMS Indefatigable). 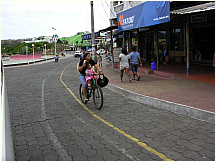 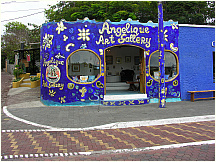 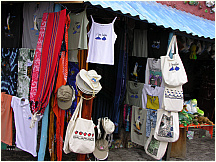 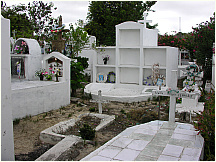 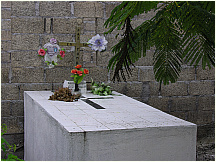 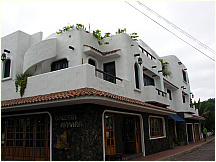 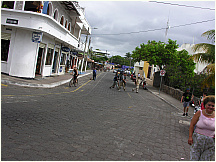 Santa Cruz hosts the largest human population in the archipelago at the town of Puerto Ayora. 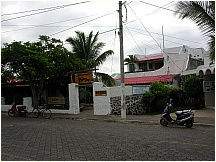 The Charles Darwin Research Station and the headquarters of the Galápagos National Park Service are located here. 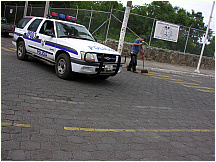 The GNPS and CDRS jointly operate a tortoise breeding center where these chelonians are prepared to be reintroduced to their natural habitat. 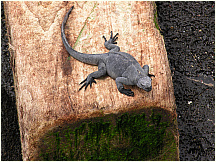 The Highlands of Santa Cruz offer an exuberant vegetation and are famous for the lava tunnels and large tortoise populations . 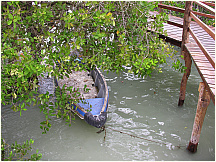 Black Turtle Cove is surrounded by mangroves which sea turtles, rays and small sharks sometimes use as a mating area. 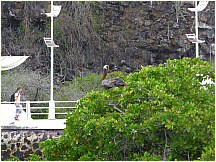 Cerro Dragón, known for its flamingo lagoon, is also located here, and along the trail one may see land iguanas foraging. 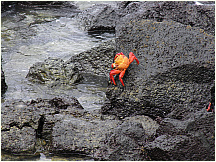 The Galápagos Islands (Official name: Archipiélago de Colón; other Spanish names: Islas de Colónumio or Islas Galápagos, from galápago, "saddle"—after the shells of saddlebacked Galápagos tortoises) are an archipelago of volcanic islands distributed around the equator, 965 kilometres (about 600 miles) west of continental Ecuador in the Pacific Ocean (1° S 91° W). 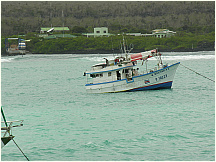 The group consists of 13 main islands, 6 smaller islands, and 107 rocks and islets. 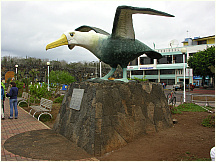 The islands are located at a geological hot spot, a place where the earth's crust is being melted from below by a mantle plume, creating volcanos. 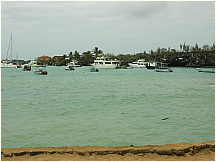 The oldest island is thought to have formed between 5 and 10 million years ago. 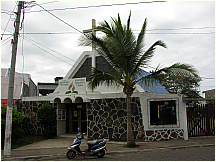 The youngest islands, Isabela and Fernandina, are still being formed, with the most recent volcanic eruption in 2005. 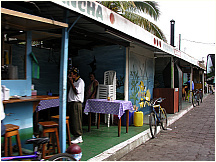 It is one of the few places in the world without an indigenous population. 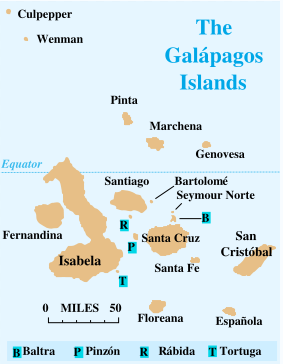 The Galápagos archipelago is a province of Ecuador, a country in northwestern South America, and the islands are all part of Ecuador's national park system. 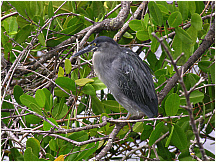 They are famed for their vast number of endemic species and the studies by Charles Darwin during the voyage of the Beagle that contributed to the inception of Darwin's theory of evolution by natural selection. 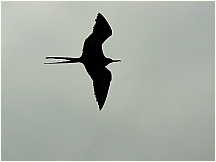 Perfect silhouette of a frigate bird at the entrance to harbor of Puerto Ayora, on Santa Cruz, Galapagos Islands. 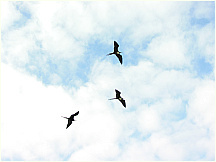 Frigate birds hovering at the entrance to harbor of Puerto Ayora, on Santa Cruz, Galapagos Islands. 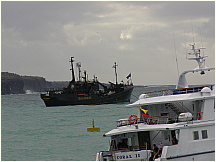 SEA SHEPHERD vessel, behind cruise ship CORAL II and its panga, at anchor in harbor of Puerto Ayora, on Santa Cruz, Galapagos Islands. 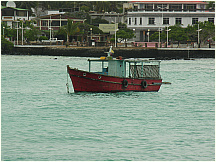 GUADALUPE RIVER vessel, at anchor in harbor of Puerto Ayora, on Santa Cruz, Galapagos Islands. 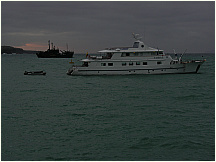 SEA SHEPHERD vessel, behind cruise ship CORAL II, at anchor in harbor of Puerto Ayora, on Santa Cruz, Galapagos Islands. 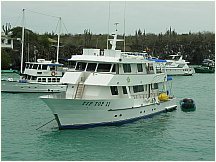 Cruise ship SANTA CRUZ, registered in Guyaquil, Ecuador in harbor of Puerto Ayora, on Santa Cruz, Galapagos Islands. 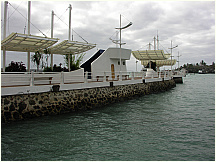 Breakwater and pier in harbor of Puerto Ayora, on Santa Cruz, Galapagos Islands. 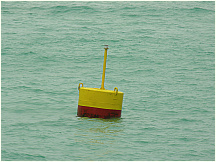 Navigation buoy near outer limits of anchorage area in harbor of Puerto Ayora, on Santa Cruz, Galapagos Islands. 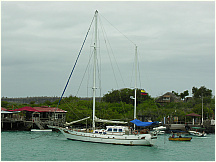 Sail ship SEA CLOUD in harbor of Puerto Ayora, on Santa Cruz, Galapagos Islands. 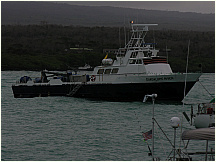 Commercial fishing boat (longliner) MARIANELA II in harbor of Puerto Ayora, on Santa Cruz, Galapagos Islands. 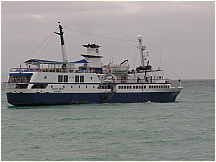 Cruise ship SEA CLOUD in harbor of Puerto Ayora, on Santa Cruz, Galapagos Islands. 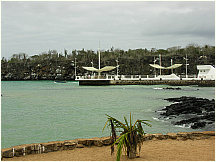 Sail ship PIRATA (Pirate) in harbor of Puerto Ayora, on Santa Cruz, Galapagos Islands. 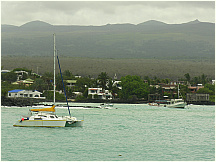 Cruise ships and yachts in harbor of Puerto Ayora, on Santa Cruz, Galapagos Islands. 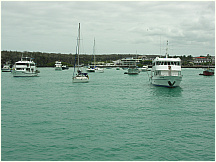 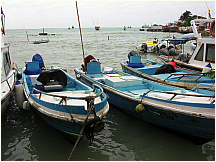 Commercial fishing boats SAN VINCENTE II and CARIBE II (longliners) in harbor of Puerto Ayora, on Santa Cruz, Galapagos Islands. 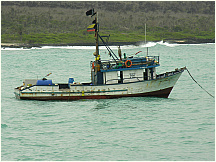 Commercial fishing boat B/P PETREL in harbor of Puerto Ayora, on Santa Cruz, Galapagos Islands. 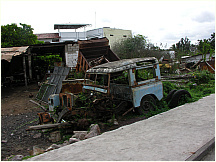 Messy yard on outskirts of Puerto Ayora, on Santa Cruz, Galapagos Islands. 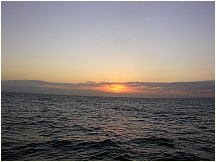 Sunset near harbor of Puerto Ayora, on Santa Cruz, Galapagos Islands.